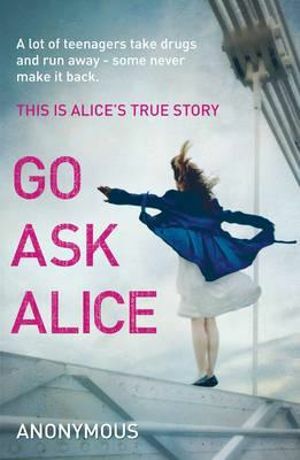 Alice could be anyone - she could be someone you know, or someone you love - and Alice is in trouble ... Being fifteen is hard, but Alice seems fine. She babysits the neighbour's kids. She is doing well at school. Someday she'd even like to get married and raise a family of her own. Then she is invited to a party, a special party where the drinks are spiked with LSD and Alice is never the same again. This tragic and extraordinary true-life story shows the devastating effect that drug-abuse can have. But the big difference between Alice and a lot of other kids on drugs is that Alice kept a diary . . .